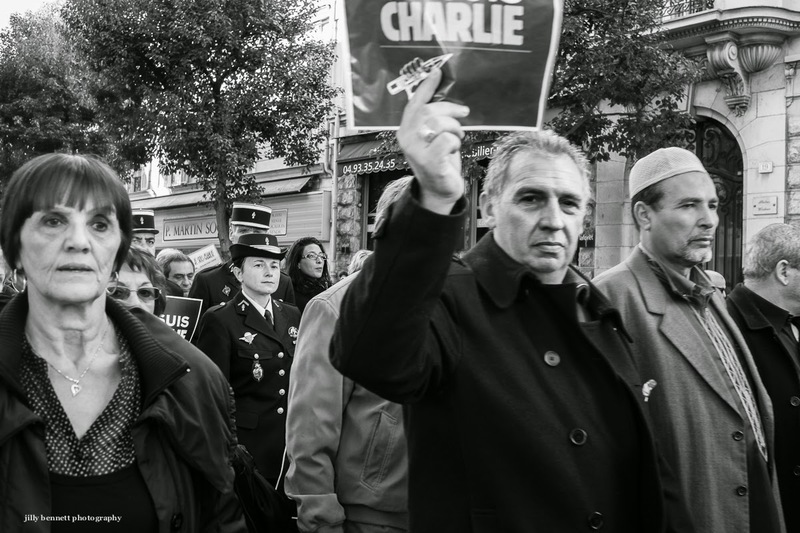 More photos of the march in Menton. Here Paul displays his banner, to his left the Imam from Nice, behind the police - all walking with one aim - the right of freedom of speech and solidarity with those in Paris who died. 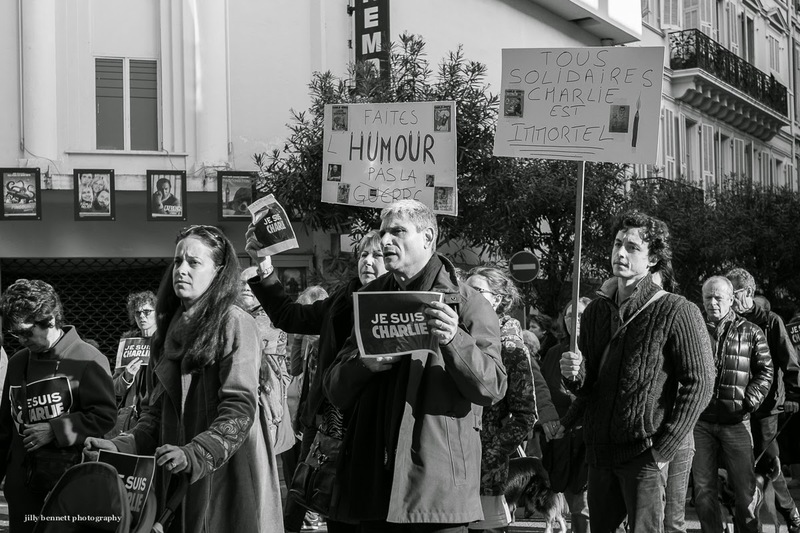 Encore des photos de la marche dans Menton. Ici Paul montre sa bannière, à sa gauche l'Imam de Nice et derrière la police - tous défilant pour une cause - le droit à la liberté d 'expression et la solidarité avec ceux qui sont morts à Paris. Impressive march, hope it can stop the terror and unite people. Appropriate to render these shots in black and white. Important documentary, and I like them in b/w.